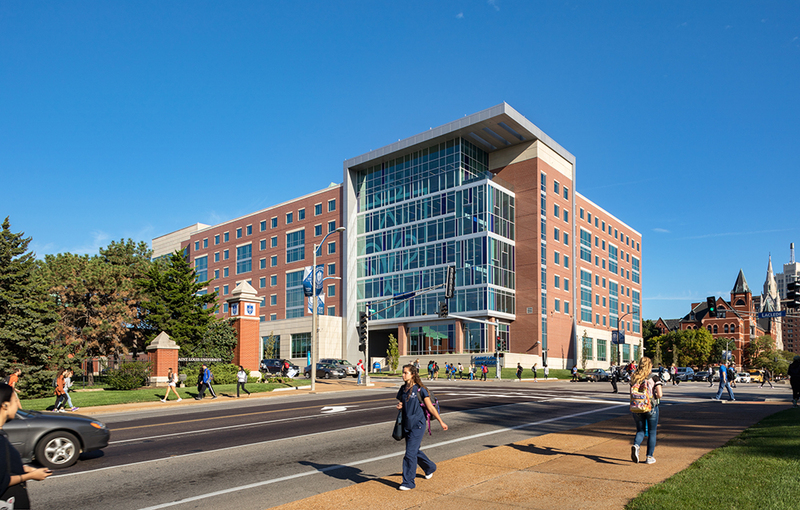 Hastings+Chivetta Architects was engaged to design the renovation of Saint Louis University’s Macelwane Hall. The 82,770 SF project includes the comprehensive renovation of all floors of the facility after a fire resulted in its temporary closure. 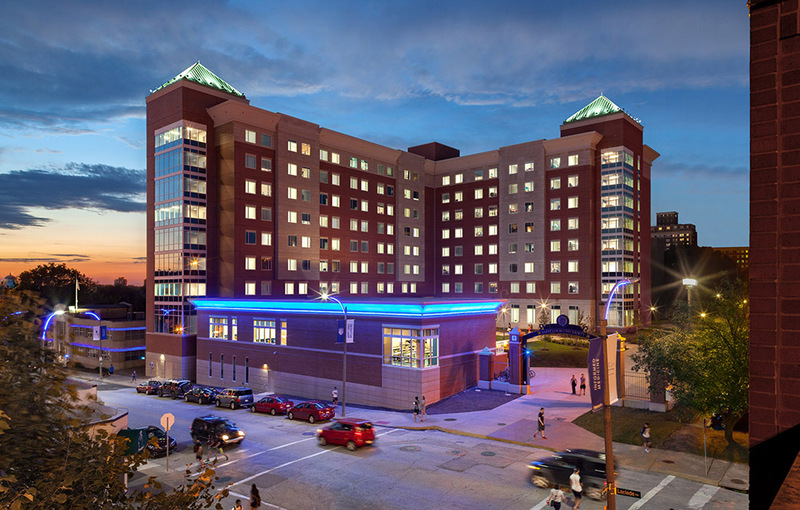 The new design fits within the context of the science precinct on campus and bridges the South and North campuses of Saint Louis University for increased research collaboration. 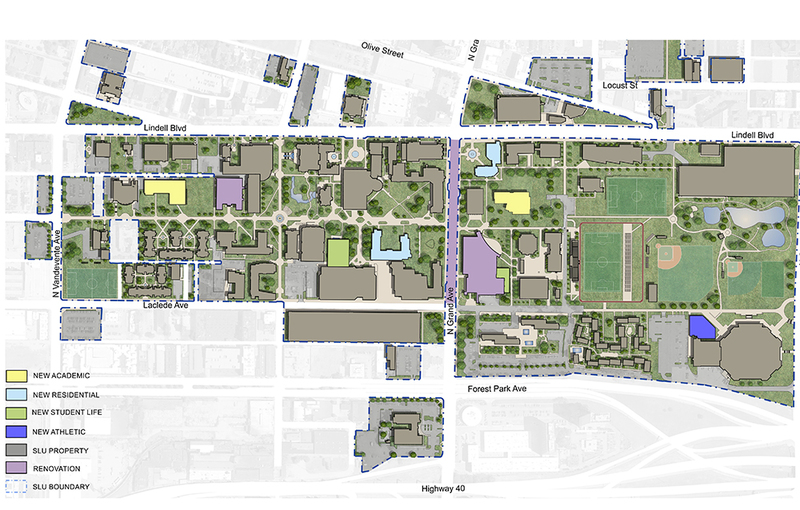 Additionally, the design integrates with the University’s campus master plan, which Hastings+Chivetta also developed. 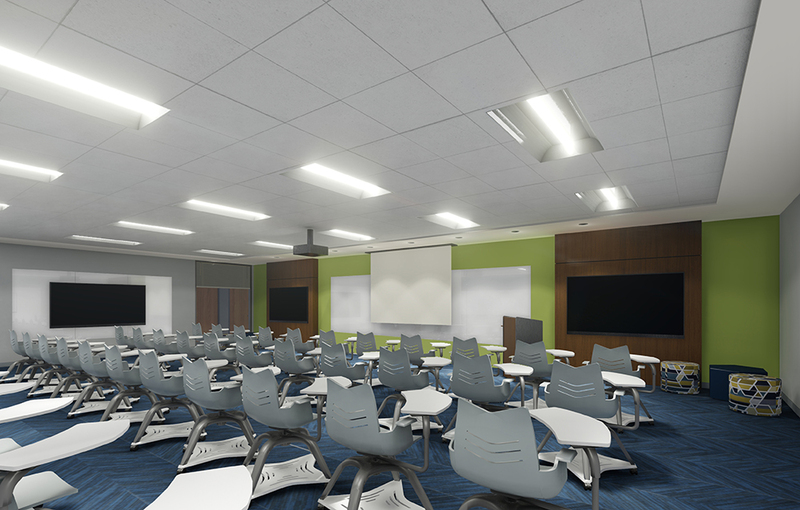 The redesigned facility will include lower- and upper-division teaching laboratories, research labs and administration space. 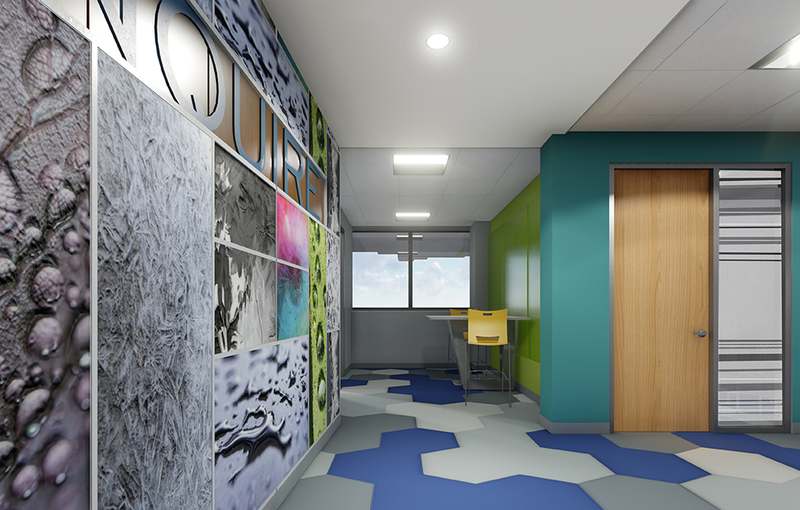 The first floor will have a bioinformatics/computation lab, aquatics laboratory and a plant growth chamber. The second floor will house classrooms and offices, as well as chemistry and biology labs. 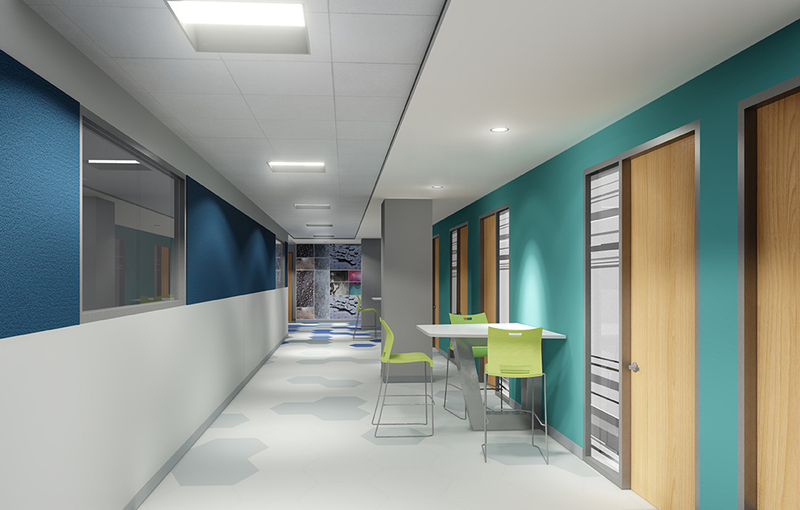 The third floor will have spaces equipped for biochemistry and molecular technology, neuroscience/physiology cell and genetics. 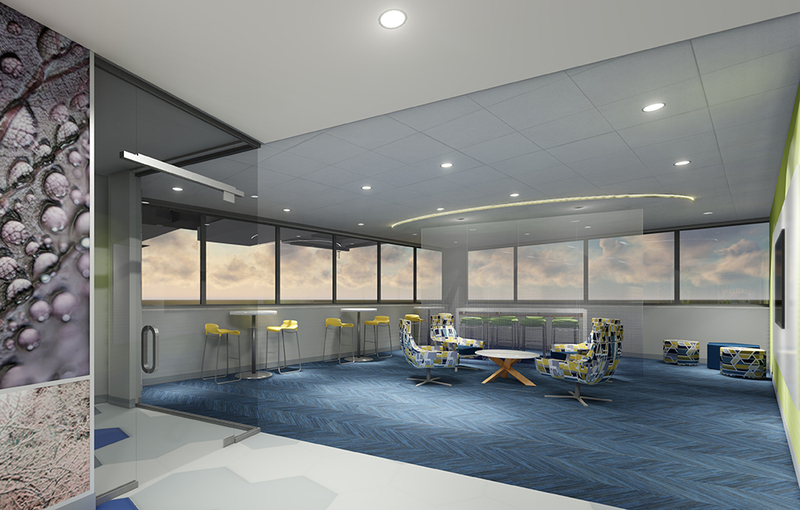 There will also be areas for students to study and socialize. Programmatic studies of the existing building concluded that there was an additional need for study and lounge spaces for students to collaborate. 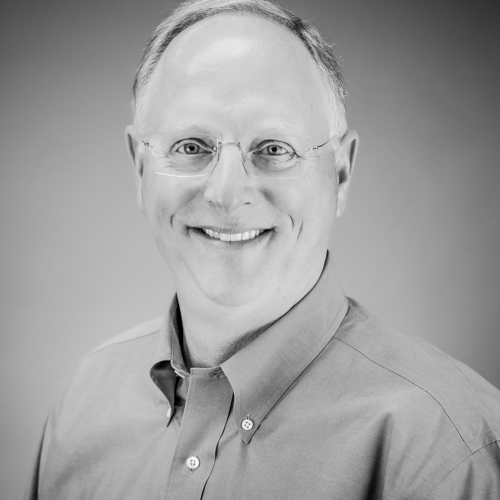 Designed for sustainability, the renovated building will exceed the City of St. Louis’ energy code requirements and will include many sustainable design and construction strategies.